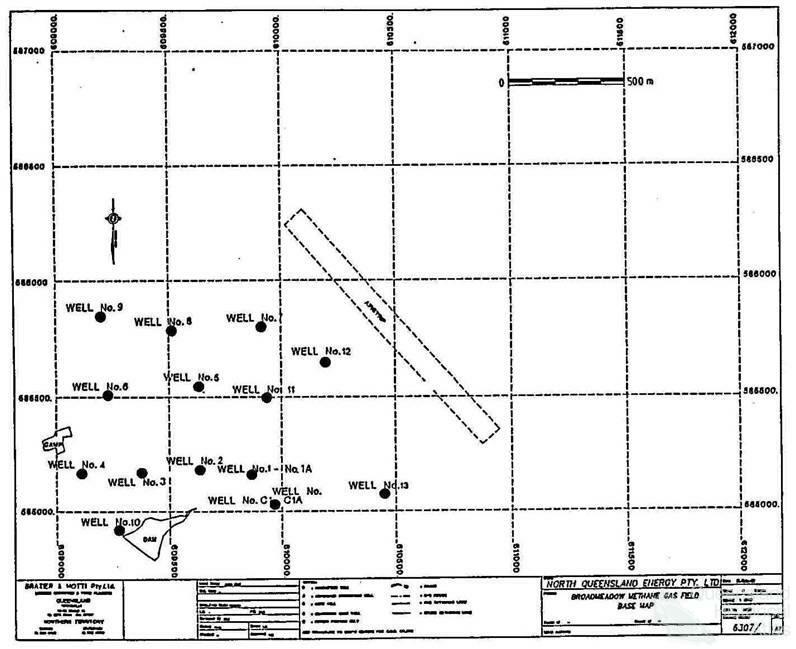 Broadmeadows Methane Gas Field, 1989. The Broadmeadows field was a significant pilot program in the coal seam gas industry in the late 1980s in far North Queensland. 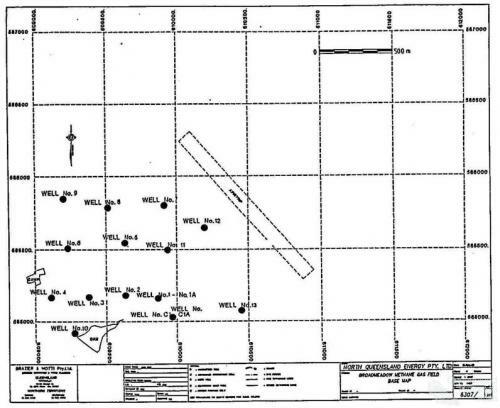 This map shows the intensity of the drilling program that occurred over successive years from 1987 to 1989. The Broadmeadows field became an exemplary field to promote further investment and development in the industry prior to production in the early 1990s. From North Queensland Energy Pty Ltd, ‘Well completion reports Broadmeadows No.’s: 1A, 9, 11, 12, 13,’ 1989, company report 21939, Queensland Department of Mines and Resources, Queensland Digital Exploration Reports Online. Queensland Department of Mines and Resources, Queensland Digital Exploration Reports Online.